Janet R. Moore, 80 of Balsam Lake, Wisconsin passed away Wednesday, May 9, 2018 at the Good Samaritan Society Home in St. Croix Falls, Wisconsin with her loving family at her side. She was born February 16, 1938 in Amery, Wisconsin to Albert and Julia (Korsan) Ogilvie. Janet graduated from Balsam Lake High School. She married Robert Moore on September 24, 1960. 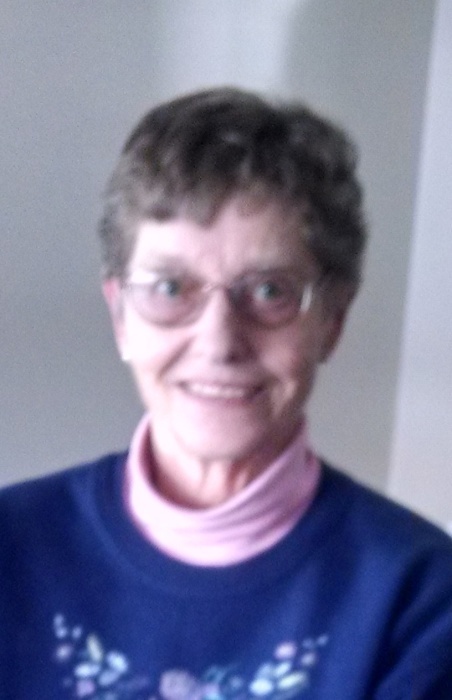 She was a lifelong resident of Balsam Lake, lifetime member of the Holy Trinity United Methodist Church and served a long career with the Polk County Government Center and County Clerk’s Office. She leaves to celebrate her memory: children, Cheryl (Greg) Foley, Timothy (Paula) Moore and David (Michelle) Moore, grandchildren, Jaimi (Tony) Folsom, Kayla Potter, Charity (Jordan) Schaar, Jim Moore, Julia (Tim) Plourde, Justin Moore, Emma Moore and Zenia Moore, great grandchildren, Carter and Quinn Folsom and Flora Schaar, sisters, Rose Price and Jean Wulf and other family and friends. She was preceded in death by her parents, Albert and Julia Ogilvie, husband, Robert Moore, sisters, Florence Baker and Harriet Wade, brother, Donald Ogilvie, a stillborn baby brother and her son-in-law, Donald Potter. Funeral Services for Janet will be at 11:00 A.M. Thursday, May 17, 2018 at Holy Trinity United Methodist Church rural Centuria with Pastor Freddie Kirk officiating. Visitation will be held at the funeral home from 4:00-7:00 P.M. Wednesday, May 16 and again one hour prior to the service at church on Thursday. Janet will be laid to rest beside her husband, Robert at the Balsam Lake Cemetery following the service. Please join the family back at the church for continued fellowship and a luncheon after the interment. Pallbearers will be grandchildren, Jim Moore, Justin Moore, Emma Moore, Zenia Moore, Charity Schaar, Julia Plourde and Kayla Potter and Honorary Pallbearer, Jaimi Folsom. The Kolstad Family Funeral Home of Centuria has been entrusted with the arrangements.